With a stay at Dionysos Sea Side Resort in Ios, you'll be in the entertainment district, within a 15-minute drive of Mylopotas Beach and Yialos Beach. 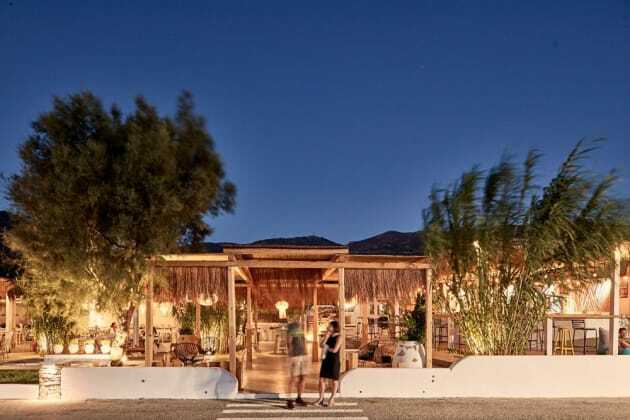 This 4-star hotel is 29.7 mi (47.8 km) from Athinios Port and 3.3 mi (5.3 km) from Ios Ferry Port. Make yourself at home in one of the 59 air-conditioned rooms featuring refrigerators and minibars. Rooms have private furnished balconies. Satellite television is provided for your entertainment. Private bathrooms have complimentary toiletries and hair dryers.